The spent hops are discarder in smaller breweries, but in larger breweries they are sometimes mixed with the spent grain and dried. 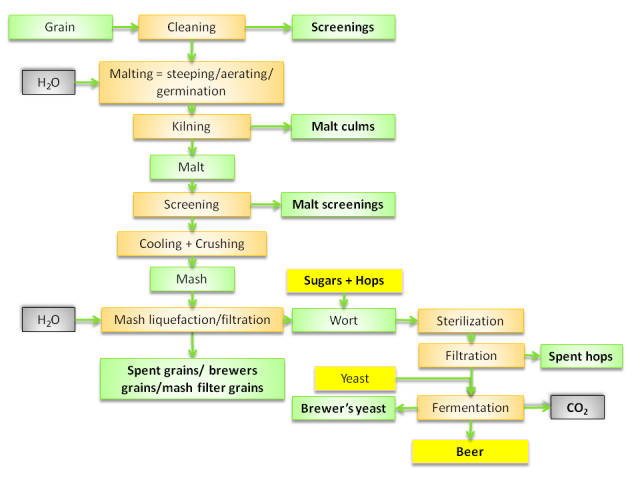 If spent hops are added to the spent grain in the same proportion they are produced, they will constitute about 5% of the total mixture, which will not affect the palatability or nutritive value of the dried brewer's grain. Extracted hops are so bitter as to be unpalatable and are very low in digestibility.